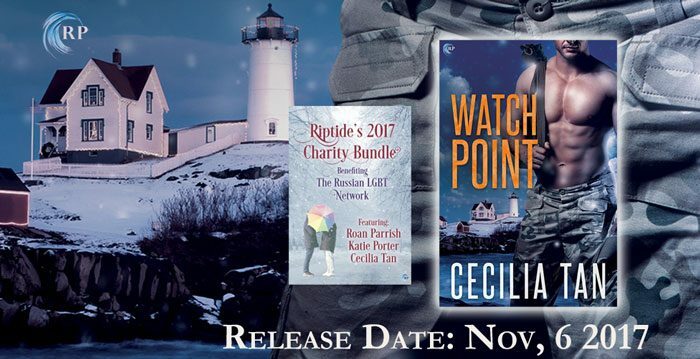 It’s been a blast launching WATCH POINT, my gay Navy SEAL abduction romance, and I would like to thank all the blogs and sites that featured the book, reviewed it, hosted my essays, and participated in the giveaway! All told 154 comments were entered the drawing for a Cecilia Tan gay fiction prize pack, including some Daron’s Guitar Chronicles swag, The Prince’s Boy, and such! I did a “Down and Dirty” interview for USA Today’s “Happy Ever After” column, in which I reveal my love of Sour Patch Kids, Yuri!!! On Ice!, Queen + Adam Lambert, and Peter Tork of the Monkees. I write about the paradox of loving military heroes, but not the way our government abuses them. In Watch Point we get into the subject of Don’t Ask, Don’t Tell as the reason why Eric is no longer in the military. In future Wayward Warrior books I’m planning to also touch on other ways our government has failed to serve those who serve us, including budget cuts to veterans programs and so on. I don’t disagree at all. Compared to my dub-con fanfic–or even to what goes on in The Prince’s Boy—Watch Point is *relatively* lighter on the transgression. 100% valid review! I still support the content warnings, though, since this is still a kidnapper/kidnappee setup, so for those who find dubious consent triggering or problematic, this is not an allergen-free book. People who are sensitive to those issues should still proceed with caution. To pick the winner I compiled all 154 comments left throughout the tour in a spreadsheet, assigned by row number, and then I used the website Random.org to pick the winning number. People who left comments on multiple blogs were entered multiple times; each comment counted as an additional entry into the drawing. The number that came up was 94 and so therefore the winner is Lisa for a comment left at the Erotica for All blog!